From magenta to emerald green, the array of colours blend seamlessly through cool and warm tones to create a multi-coloured masterpiece. Hand-tufted from a soft silk effect fabric, the flecked colour pigments radiate across the carpet bringing each shade together. 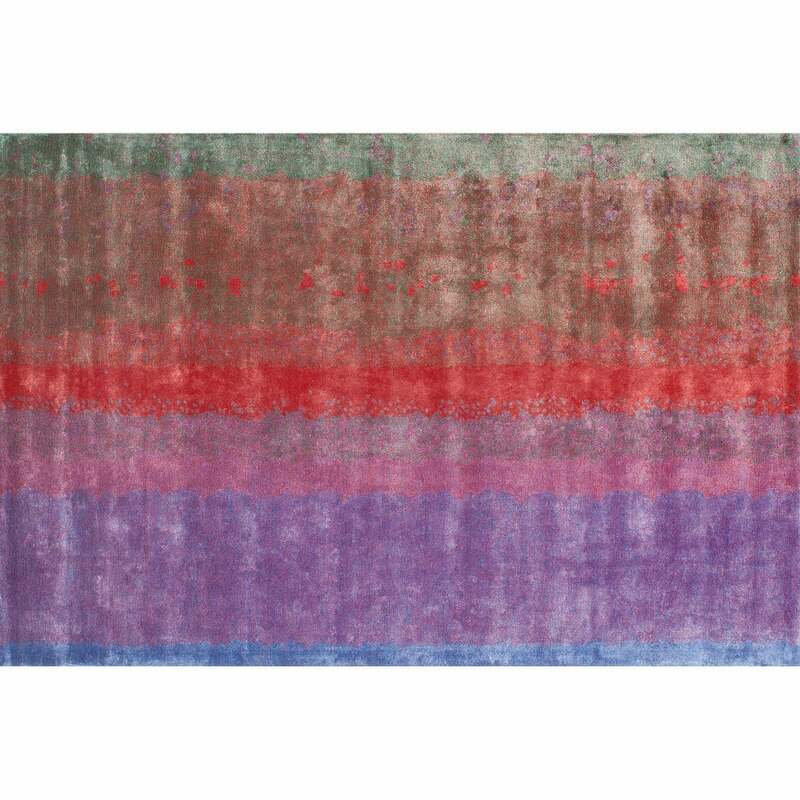 The Happy Rug by Serge Lesage will bring a pop of colour and personality to any interior space. Style with industrial pieces for a New York loft vibe or with retro furniture for an eclectic look. Available in both standard and bespoke sizes. Get in touch with our team for more information.